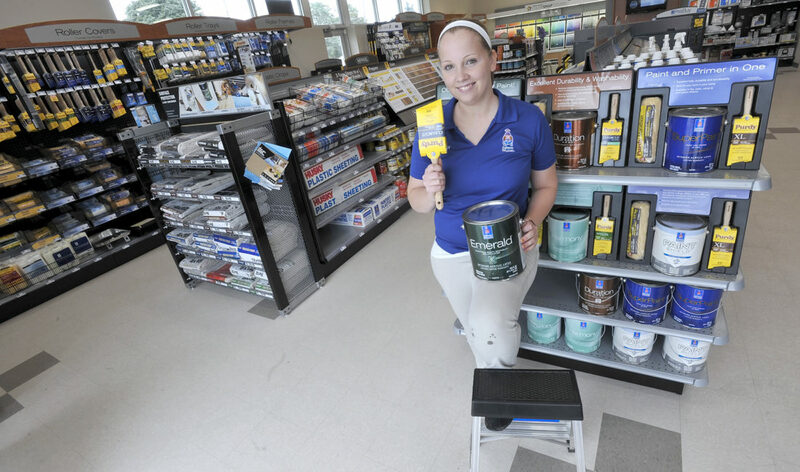 Taylor Stanley, manager of the Sherwin-Williams Store shows off their best paint and best brush recently. The new store is located at Fifth Avenue South and South 32nd Street in Fort Dodge. 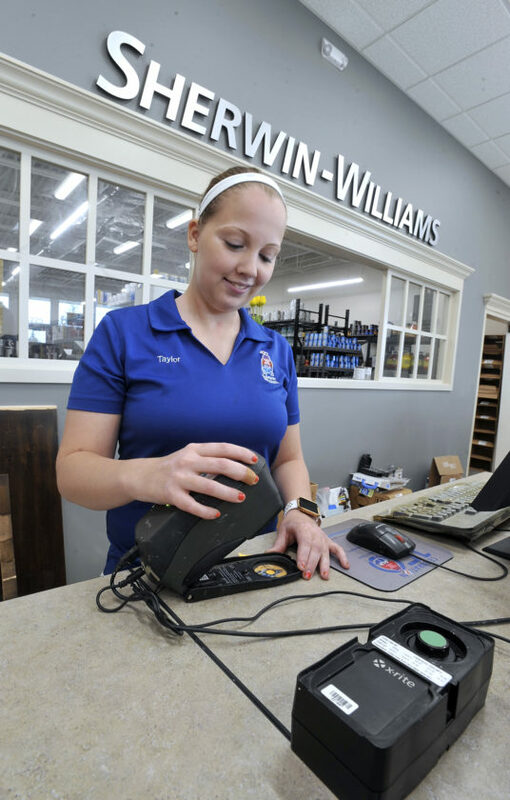 Taylor Stanley, manager of the Sherwin-Williams Store demonstrates the analyzyer that can match a customers sample and create a mix to match it. The new store is located at Fifth Avenue South and South 32nd Street in Fort Dodge. Taylor Stanley, manager of the Sherwin-Williams Store at Fifth Avenue South and South 32nd Street compares a couple of paint swatches recently. The Sherwin-Williams store in Fort Dodge is now located in a new building at 3225 Fifth Ave. S. — the city’s booming Corridor of Commerce. 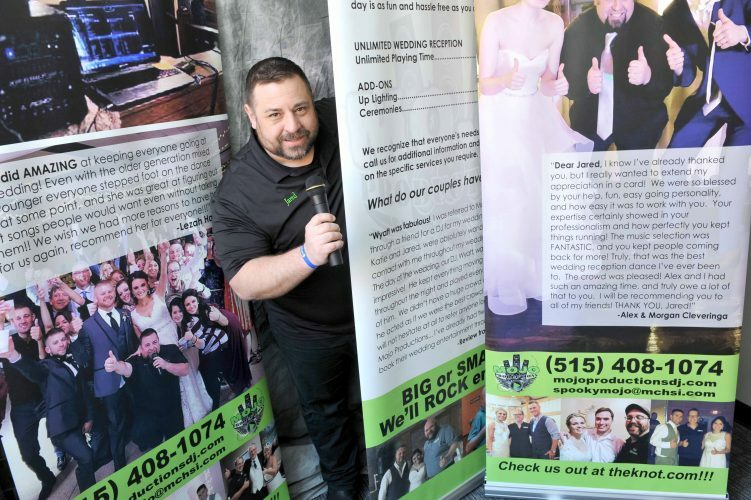 The local outlet of the nation’s largest specialty retailer of paints, stains, coatings and wall coverings does more than just sell paint and related products. According to Taylor Stanley, store manager, she and her team members stand ready to provide customers with the advice and assistance that will helps ensure that each project unfolds flawlessly. The store offers an immense product selection. Stanley said her customers are a diverse mix of commercial contractors, homeowners and just about anyone who has a painting, staining or decorating project. 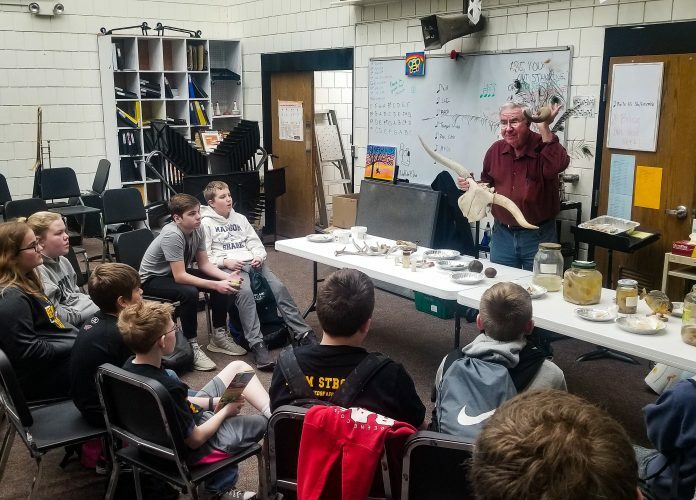 Stanley said what sets the store apart from the competition is the diversity and quality of the products it sells as well as the expertise of the staff. She said her team is committed to making certain customers leave the store not only with the right products, but also with a clear understanding of how to proceed with whatever project they have chosen to undertake. For people needing advice, Stanley said she and her colleagues are more than willing to share their knowledge. She said they assist customers as they evaluate options and plan the project. They make sure patrons understand how to use whatever they purchase at the store. What counsel is needed varies from customer to customer. Stanley said Sherwin-Williams makes sure that the people who staff its stores have the knowledge needed to serve customers appropriately. Stanley said the company’s commitment to training is of great benefit to its customers. “We get you the right products, the right tools,” she said. The goal quite simply is a successful project that upon completion is a source of pride to the customer. 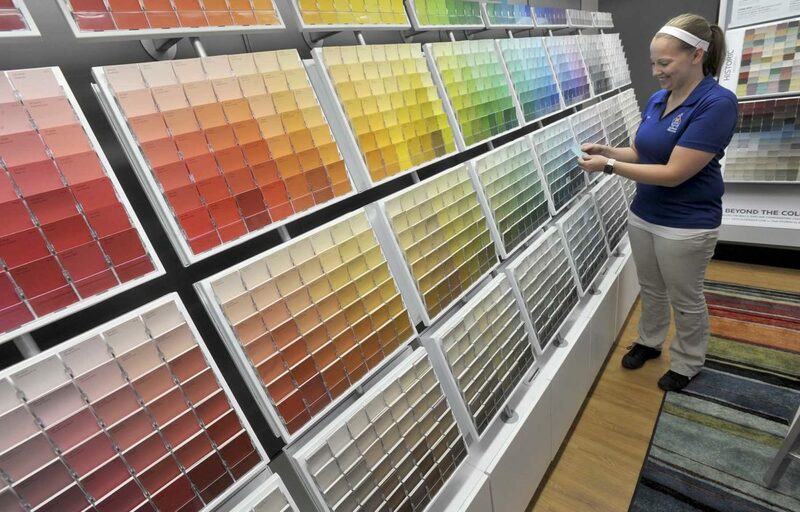 In addition to the in-person advice, the store has available on-site – and Sherwin-Williams offers online – an extensive assortment of written guides to help customers. Finding just the color paint one desires and the type of paint appropriate for the surface is never a problem at Sherwin-Williams. 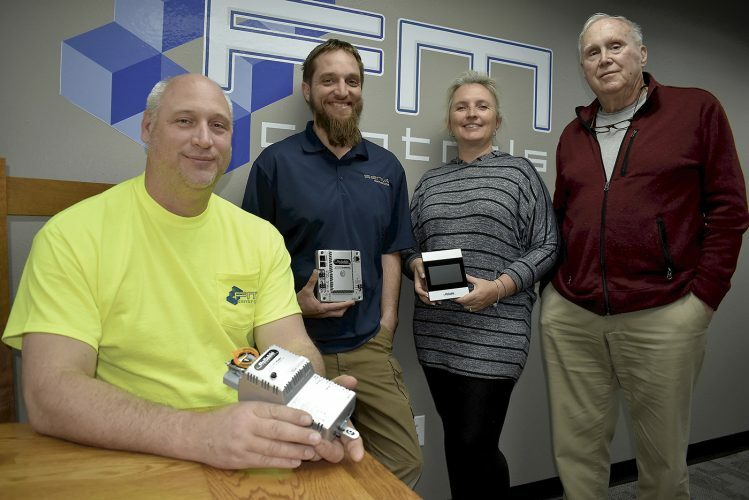 “We mix everything here – from really bright pink to lime green to black to whatever a customer needs,” Stanley said, noting that there are quite literally thousands of possibilities. Additionally, the store keeps a record of the colors selected by each client so that information is available for future reference. For people in search of wallpaper, Sherwin-Williams also has much to offer. Stanley said the store’s new home, which opened for business on Aug. 2, is smaller than the facility it previously occupied on at 2606 First Ave. S.
Getting the store up and running quickly was a priority. She said it was only necessary to be closed for about two hours to get the computers moved and functioning. Stanley said she is enthused about the increased visibility afforded her store by being on Fifth Avenue South. The Sherwin-Williams store in Fort Dodge is open Monday through Friday from 7 a.m. to 7 p.m., on Saturday from 8 a.m. to 6 p.m. and on Sunday from 10 a.m. to 6 p.m.
Sherwin-Williams, which was founded in 1866, is a huge enterprise. It sells its products worldwide. In the United States, Canada and the Caribbean there are 4,267 Sherwin-Williams stores, according to the company’s 2017 Annual Report. Its sales that year reached a record $14.98 billion. That was the seventh consecutive year of record sales. Sherwin-Williams has a substantial presence in the Hawkeye State. 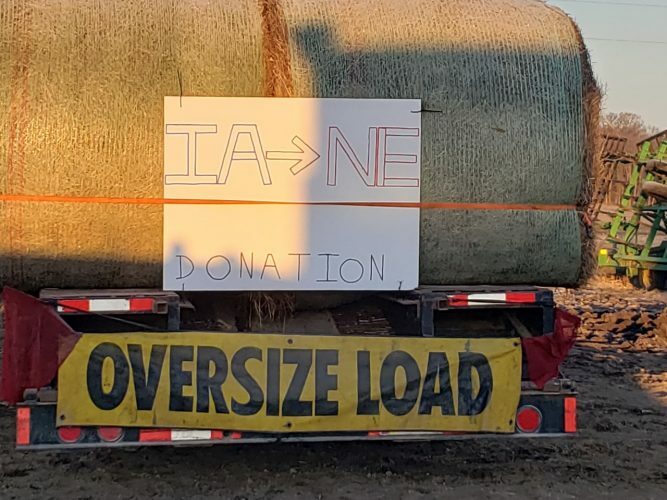 As of 2017, it had 42 stores in Iowa. The Fort Dodge store has two full-time and two part-time employees. “We are hiring,” Stanley said. She started with the company about five years ago, moved up to assistant manager and became store manager in 2017. Stanley said she enjoys leading the local store. Stanley has a straightforward message for potential customers. “We aim to be helpful,” she said.